No matter how novice or veteran of a koi keeper you are, there’s much to learn when it comes to maintaining the delicate balance of your pond water. Chlorine is added to municipal water to kill bacteria and organics to make your water safe to drink. It may be good for us, but it is toxic to your koi. But wait, there’s more! Treatment plants will add chloramine, too. Chloramine is a mixture of chlorine and ammonia, and it is added to the water supply as a general disinfectant. It doesn’t evaporate as quickly as chlorine, which means it stays in the water for longer. One koi keeper suggested marching on the local Department of Public Works with torches and pitchforks to “suggest” they don’t add chemicals without prior notification. However, outside of this, a less radical (and probably more legal) way of ensuring that some extra chemicals don’t slip into your pond is vigilance. Test, test, and test again. It’s especially important to test ammonia levels after each water change. Dechlor will address the chlorine additive. Some koi enthusiasts even put the water earmarked for the next water change in a separate tank and allow the chlorine to dissipate naturally before using it. There are additives that will combat the additional ammonia that chloramine might bring, too. A little bit of research and you should find one that will suit your needs. Evaporation is simply the process of a liquid being converted to a gas. And it’s as natural as drawing breath. The higher the rate of evaporation, the quicker you will lose water from your pond. There are a variety of factors that will affect the rate of evaporation in your pond. Temperature: If you live in a hot region, you will lose pond water quicker. The kinetic energy of heat causes water to convert to vapor more readily. Wind: Like your laundry that dries quicker in the wind, a good wind or consistent breeze will carry water droplets away quicker and bring in vapor-free molecules. So more wind means more water loss. Surface Area: The bigger the surface area of the liquid, the quicker it will evaporate. So the more square footage your pond covers, the quicker you will lose water to evaporation. Humidity: Lower relative humidity means less moisture in the air, allowing more opportunity for water to turn to vapor. The higher the humidity, the less evaporation you can expect. If it can go wrong, it will in your koi pond. To ensure that it doesn’t, check your water parameters well and often. Buy yourself a good testing kit. If you think it is a little too expensive, consider the cost of losing your koi. In the grand scheme, the kits are not tremendously costly given the amount you will pay to maintain a healthy pond and happy koi. Make sure you follow directions correctly for your kit. That can’t be overstated enough. Don’t assume you’ve got it right. If you aren’t sure about whether you are testing correctly, ask. There is no shame in reaching out to one of the many helpful koi keepers in any online or in-person venue. And if something is amiss, just breathe and rest assured that you are prepared for eventualities. Because as good as your filtration is and as vigilant as you are, issues arise that require attention. Having materials on hand in case of emergencies can help you tweak something to get your parameters as close to ideal as possible. Salt is a source of heated debate amongst koi keepers. It is a panacea for some and a source of derision for others. Wade into those debates with your dukes up. One thing that science knows for a fact is that salt supercools water. Salt lowers water’s freezing point, meaning that your pond water temperature will dip below freezing before it turns to a solid. This will cause your pond water to reach an artificially low temperature. 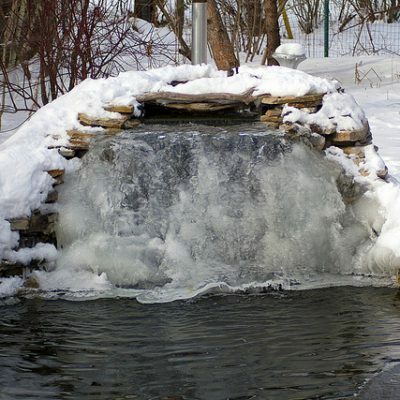 Supercooling chills the warmer water at the bottom of your pond, which can be disastrous for koi that require a warmer thermocline to stay alive in the coldest months of the winter. The gram-negative, anaerobic, rod-shaped bacteria Aeromonas—yes, THAT Aeromonas: the ulcer-causing, hole-producing Aeromonas—is in every koi pond. It actually performs an invaluable service to your pond and koi by breaking down your koi’s waste. Sadly, Aeromonas also has a dark side as a (or rather THE) pathogenic bacterium in your pond water. 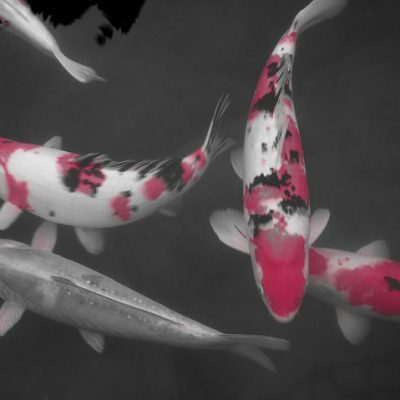 Under normal conditions, your koi’s natural defenses are enough to deal with the threat. But when the environment and temperatures allow Aeromonas to proliferate, it can cause huge amounts of damage to any koi population as they emerge from their winter torpor with vulnerable immune systems. Well, since you can’t get rid of Aeromonas, you must keep it in small enough numbers that it doesn’t pose a huge threat to your koi, especially fish that become stressed or injured. 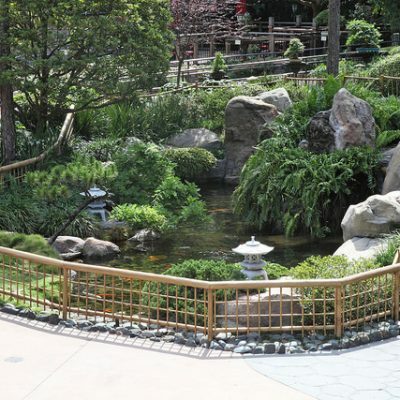 Suppressing Aeromonas entails seasonal maintenance and preparation that sets your pond and koi up for an easier transition as water temperatures start to rise. Tasks, like removing the muck (organic material and excess fish waste) from the bottom of your pond and cleaning your filters, can do wonders for lowering bacteria levels. Here’s a little more information on Aeromonas. Yup. Close to none, but they are there. There just aren’t enough to register on test kits. As part of an open system that is constantly changing and adjusting with living creatures in it, there will always be waste and processes to balance. The good news is if your test kit is saying you are nitrogen by-product free, then you are doing a great job! Not much, really. Just know that you have some potentially hazardous stuff in your water and be on your toes so that it doesn’t get out of control and become an issue for your koi. You have to remember that your pond is a closed system. What goes into it, by and large, stays in it. It may degrade over time, but there is no blinking it away. This is especially true of any substance you add to your koi pond to help your koi remain healthy. Quite often, a simple water change is the best means to remove any chemical after it has done what you needed it to do. But this is not always the case. One great thing about being a koi keeper is the chemistry knowledge you accumulate as a result. You must become fluent in mixtures, solutions, volumes and potential side effects of any chemicals that you put in the water that your koi fish call home. Soooo… read the label. Then read it again. Always check manufacturer recommendations for how long and how much of the chemical you will need for your pond according to size and volume. You will also need to know what counteracts the chemicals, how much you will need and the possible side effects of those countermeasures. It would be great if chemicals like ammonia and chlorine exposed themselves for the downright dangerous substances they are to koi fish by appearing as evil or menacing colors in the water. But they don’t. Many a koi keeper will look at a crystal clear pond and think that this is the “all clear” (pun intended) to add koi. Many of these koi keepers will come back the next morning to find those same koi dead or pretty close to it. On the flip side of this, some ponds that look as if they have seen better days or could use a good cleaning may be perfectly healthy for their inhabitants. You just might not be able to see them as clearly. You would think we’d get tired of saying this, however, test and test and test again. And this is especially true for new ponds. If the pond has not been given enough time to cycle and for nitrifying bacteria to build to a point where they can filter out the ammonia, nitrite, and nitrate (as part of the Nitrogen Cycle), that water—no matter how clean it looks—can potentially be fatal to any fish you introduce into it. And remember, filters do not filter out nitrates. Green water is caused by a single-celled, planktonic organism, and it’s a source of visual frustration to koi keepers. It can also be potentially fatal if not controlled, as some types of blue-green algae are toxic. A small number of algae in your pond can be good for its overall health, but green water is an indication that your pond’s water balance is out of whack. Extra nitrates in your pond act as nutrients that allow algae to flourish. As the algae proliferate, it uses more of the oxygen in your pond than it gives off as a product of photosynthesis during the daylight hours. This drop in dissolved oxygen is way more dangerous to your koi than lack of visibility. You can learn more about green water in our article about combating Spring Algae Blooms. Make sure that your biological filter is well seeded with beneficial bacteria and able to handle the fish and feeding load you have in your pond. Also, even if you have good filtration, it also helps to keep your wastes down. Don’t overfeed and get all the organics you can out of your pond. This starves the algae of its food. If the algae has nothing to feed on, it can’t survive. It also helps to keep your water temperatures down on hot days. 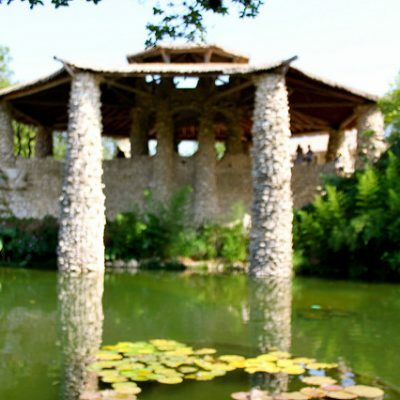 Shade (man made or floating plants) keep the direct sunlight out of the pond and so reduce the temperature. A UV filter will also help to lyse (burst) the single cell algae as it passes through it. If portions of your pond are poorly aerated, set up an airstone or other means of circulating the water to get oxygen into that area. Flow through water exchange serves as a continuous water change. It removes the necessity for large water changes by moving water through the system on a smaller but constant clip. When doing flow through, there is no need to treat city water and there is no threat with temperature differences. Flow through is such a small amount of water changed over a 24 hour period that the fish don’t notice a difference in parameters like they do during a large weekly water change. Set your flow through rate based on the size of your pond. For instance, if you have a 12,000-gallon pond and set your flow through rate to be about 4 gallons/hour, you will accomplish a 25% water change over the course of the week. This accomplishes the same weekly water change without physically doing a water change so you’ll never miss doing one. Also, you are pulling old, oxygen-deprived water from the bottom to flow out of the pond and adding mineral-rich new water at the top. That said, flow through water exchange doesn’t work for everyone. For one, the cost of water can be prohibitive if the pond isn’t on a well system or some form of ground water. The water itself might also need to be filtered or stored before it is introduced into the flow through. There is also the temperature change coming from the flow through (especially if it’s geothermal). Water removal can be an issue, too, in that the water that is coming out of your pond needs somewhere to go that doesn’t affect others. We didn’t say it was an easy option, just that it is better. A good rain can be a wonderful sight; however, it isn’t a substitute for a water change. Yes, it can bring soft, unchlorinated water from the heavens. But it can also bring pollutants, too, such as debris, nitrates (which algae really love) and chemical-laden runoff from fertilizers or other lawn care products. There are koi keepers in regions of high rainfall that will catch the runoff, treat it, and then use it for water changes. But they treat it first. Keep an eye on parameters after a heavy rain, especially your pH to check for a crash (when the pH value falls dangerously below 7). Keep some buffering agents onhand (like carbonates and bicarbonates) to counter any increased acidity or to help with a pH crash. A bag of oyster shells is one of the old standbys for koi keepers to help with buffering. 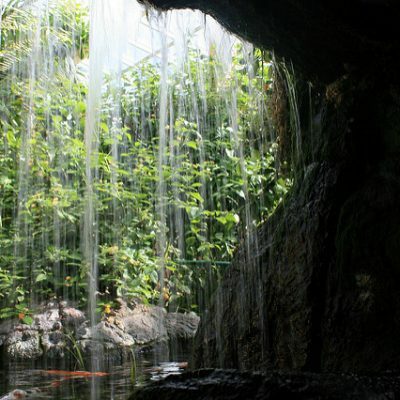 If you need more information, we have an article about koi ponds and rainwater, too! Trying to maintain the perfect pH is the eternal struggle of koi kichi. But pH is like having a footloose teenager. Sleepless nights, fretting, worrying, maybe even pacing: try as you might to control it, your pH won’t stay perfect. Nature will be nature and will do as it wants. Whereas an ever-so-slightly basic 7.5 is great (ideal, even), there is a range of acceptability. 7-9 is still ok to maintain a stress-free and healthy life for the koi fish in a pond. When it drops below 7 and into an acidic environment, it can cause death. The same is true of highly basic (alkaline) water. Be vigilant. Aim for stability, but not perfection. Keeping a handle on the things you can control is the best way to keep your pH within acceptable levels. Keep an eye on your KH levels as this is an indication of how well your water will buffer against pH crashes, which can result in dangerously acidic water. Don’t overly obsess about pH levels, and allow for the variations. As long as the swings aren’t too drastic, your koi fish have the ability to adjust for ph fluctuations. Twins may look the same, but they very rarely share the same personalities. In much the same way, no two ponds are alike. You could decide to fill in your old pond, build an exact replica in the same spot and use the same water to fill it, but the new pond will be different than the old. Every pond has its own rhythm, even if it is in the same yard and filled with the same source water. So much for keeping it simple. Nah, just kidding! Build as many as you want. If you have two ponds on your property, relax and enjoy each one for its own unique rewards and challenges. Well, right after you have obsessively used all the know-how and tools at your disposal to get your ponds as close to ideal as possible, with almost zero ammonia or nitrites or nitrates, well manicured pond plants, clean filters, the third daily feeding complete, the lesion on the large chagoi checked, the new ochiba into the open, the electric fence tested, the heron decoy moved to a new spot and the leaves netted off the surface. Then relax away! It’s a real thing. One day you will say to yourself, “I have achieved water change nirvana,” only to lose it on the next water change. Chasing and containing that amazing feeling will drive you onto amazing feats, even when you are convinced you can’t possibly do another water change. Acknowledge the inevitability of the axiom. Accept the challenge. Prepare for greatness. Add a flow-through system to your pond. Now that you know a little more about the stuff that your koi live in and how to keep an eye on it, you won’t be as unsuspecting or unprepared should it become an issue. Now go and enjoy your koi and your pond!